We keep our class sizes small, make learning fun and help Actors book! Lighthouse Acting Studio is committed to the success of each student as an individual. We believe keeping class sizes small, allows each student the time & attention they need to grow as a performer. We offer both experienced actors and beginners a place to work on their craft with drop-ins of experienced industry professionals. Our training program is founded on the belief that every human being is unique. Our goal is to help each student recognize what they naturally bring to the table, embracing what makes them special while learning how to bring it to each performance effortlessly, without hesitation. 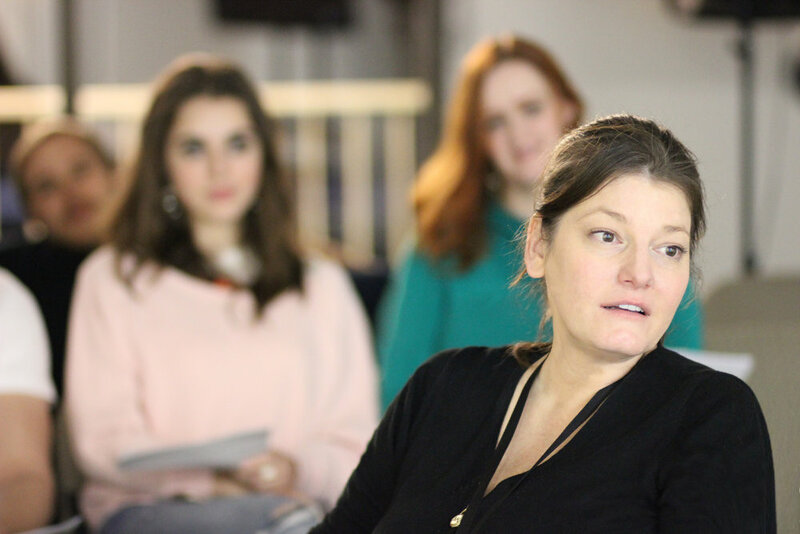 Commitment to our students means that sometimes we assist in finding theatrical or commercial representation.The founder of Lighthouse Acting Studio, Julie Still, has a great track record of helping students secure top representation in the Southeast & beyond. Each month we invite an Industry Professional to observe or give feedback to our students.These intimate sessions allow students to ask all burning questions and have them answered by a working professional. Guests include Casting Directors, Agents, Directors, Producers & Writers. Lighthouse has helped various groups win awards, the most recent include a public high-school mock trial club & a toastmaster competitor. Even celebrities have sought our help with public speaking events. We also help corporate professionals use Acting Techniques to succeed in various industries. Whether you are a Public Speaker, a High-School Mock Trial Team, a competitive Toast-Master finalist, a corporate executive overcoming a fear of speaking or an emerging stand-up comedian that needs a little help with delivery and timing, we can help! Lighthouse has strong connections in the Music Industry for many reasons. While living in Los Angeles in the early 90's, Julie Still worked at a busy record label which created lifelong ties to the industry. When she moved back to Atlanta, she worked at Catspaw Recording Studio for several years which was the dominant studio for all things Voice-Over. Fast forward to 2018, Julie Still married to a Grammy Winner and three time Nominee. Her husband, Matt Still helps Lighthouse Acting Studio with all things related to Audio & Voice-Over. He is the guy that mixes the Voice-Over Demos for students of Lighthouse. Lighthouse has recently added a new instructor, Stephanie Wyatt to teach our comedy improv troupe and classes. Stephanie Wyatt is a writer, actor, director, producer and now a teacher. After her studies at University of Kentucky she went to Chicago where she studied at Second City, IO and with Steppenwolf ensemble members at Profiles Theater. In Chicago she met up with an independent production company CNGM headed by Mike Noens and worked with them on several feature films, this was her transition from stage to the independent movie world. Four years laster she moved to L.A. and studied more improvising at Groundlings and Upright Citizens brigade while working on various TV sets. In 2015 she moved to Atlanta and the following year was brought on staff at Fizz City Films as a producer. Since living in Atlanta she has produced the Stephen King short, “Rainy Season” with Vanessa Wright and continues to write and act. 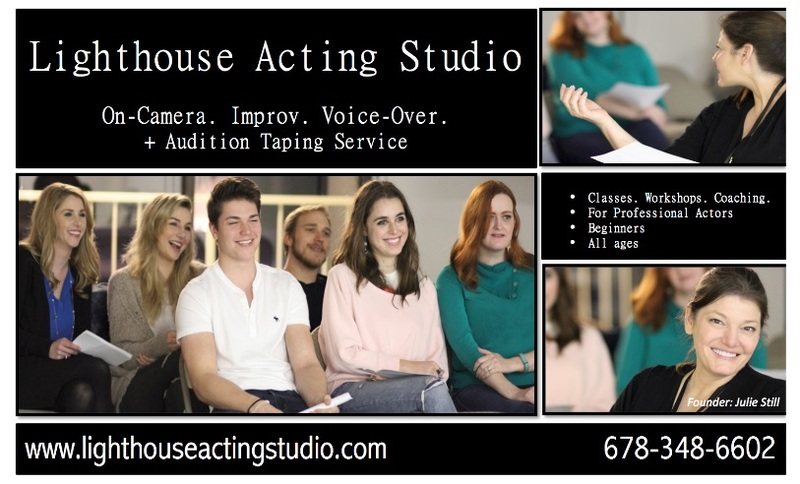 We offer classes, workshops & intensives for On-Camera Acting, Improv & Voice-Over for all ages & skill levels (Professional Actors + beginners). We are serious about the craft of acting and create challenging classes and exercises that help each student conquer their specific deficiency and reach their potential. We offer an extensive curriculum for beginners, intermediate, and advanced actors. We offer Scene Study, On-Camera Audition Technique, Improv, Cold-Reading, Mastering the Monologue, and many other intensives. We also offer SKYPE Coaching & Skype Call-Back Sessions for Los Angeles clients. Studio Room Rentals are also available for Casting Directors and local Independent Film Directors that need space to cast current Film & Commercial projects. We have two state-of-the-art taping rooms designed to produce a high-quality self-tape auditions. Each room is equipped with pro-sound, pro-lighting & HD cameras. Our readers are professional actors or top coaches. We offer a FREE business of acting workshop to all of our intro students (Adults, Kids & Teens). This workshop is designed to walk you through the process of understanding the business of acting. This workshop leaves no stone unturned. We discuss headshots, marketing materials and advice on when to seek representation & how. We discuss the process of becoming a working actor or what to do if you are the parent of a working actor. We help you navigate the southeast market and learn how to plan for a professional acting career. We routinely recommend that students study with other teachers & schools so students walk away with list of places to check out. We also offer a customize career consultation session which is scheduled like a private coaching session. During this session we help you create & design your resume, select which headshots to use and why then we create a custom step-by-step guide on what to do next. Lighthouse Acting Studio also offers Summer & Winter Acting Camps for kids & teens. We believe that mastering the basics is vital and until an actor does so, they will feel gaps in their ability, awareness & technique which leads directly to hesitation and lack of commitment. Even working actors can benefit from taking a fresh look and revisiting the basics. Lighthouse Acting Studio has a simple and clear curriculum that focuses on recognizing, appreciating and mastering the basics.The core of our curriculum takes an in-depth look and incorporates lessons inspired by various masters of the craft; Stella Adler, Sanford Meisner, Konstantin Stanislavski & Uta Hagen as well as others. We look for the common denominator among these various techniques. We explore and seek to understand the different approaches which allows us to draw inspiration from their unique teaching styles and use it in a relevant way. Through this comprehensive look and the opportunity to apply what we learn under the guidance of a trained eye, students walk away with new tools that create a surge in confidence about their ability and craft. They learn to trust themselves because they now understand what it means to make a strong choice and commit. The result is a truthful, in-the-moment "experience" which is very different than an "Act". 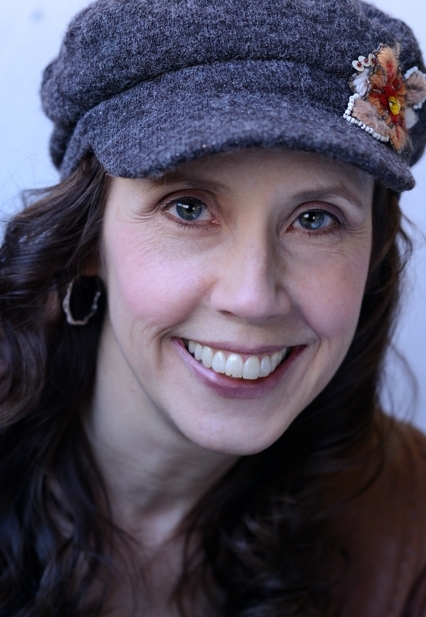 The Founder of Lighthouse Acting Studio, Julie Still, has been a working actor and a professional behind the camera in Film/TV & Music since 1990 (28 + years). During the late 1990's - early 2000's, Julie had success as a Producer, working on award winning projects. Some projects needed the role of Casting Director filled. Because Julie had experience assisting various Casting Directors since the '90s (and was a working actor) she filled the role easily but had no desire to become a casting professional. In 2009 she was approached by a top agent to create a 'Cold Read' workshop in hopes that it would help their clients book more. It worked. Julie began offering regular monthly classes. Then was invited to work at YourAct Acting Studios in 2012. There she continued teaching On-Camera classes until the retirement of the Owner: Della Cole in December, 2016. Offers poured in around town to join other schools but Julie decided to open her own studio in January 2017 and named it, Lighthouse Acting Studio. "I have studied with Julie Still from Lighthouse Acting Studio for over a year now, and I can't say enough about what an amazing and talented teacher she is. I had zero experience when I started training with Julie, and thanks to her amazing classes, I have booked several commercials, a role in a movie, two industrials, and got signed by one of the best talent agents in Atlanta. I have taken classes at other schools, but I always come back to Lighthouse Acting Studio for Julie because she really is the best acting teacher in the city." "Wonderful Studio and incredible coach. Julie has been and continues to be such an amazing coach for our kids who are working actors." "Julie's class is like no other. Her school offers much more than your run of the mill acting class. Julie truly cares about her students and their success. No matter what level of the business you currently are she will go the extra mile to make you better than you ever thought you could be. Her approach to teaching is practical and thorough.. worth every penny! Third Rail Studios - 60,000 SF of sound stages, 27,500 SF of production office space & the only purpose built sound stages adjacent to MARTA, making transportation fast & efficient from Buckhead, Midtown and Hartsfield-Jackson International Airport. Atlanta’s specialty farmers market & international cuisine. Specializing in authentic ingredients, traditional ethnic cuisine & hard-to-find items. Exotic produce, organic fruits/vegetables, diverse meat & seafood department. Buford Highway Farmers Market provides ethnic food - from Korea, Mexico, Central and South America, Caribbean, Africa, Japan, China, Thailand, Vietnam, Philippines, Eastern Europe & more.